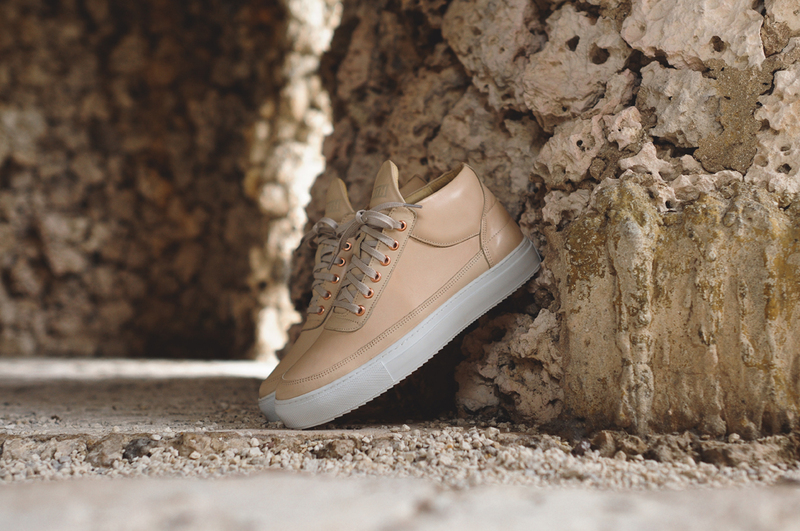 After a few teasers posted on social media, today we have an official look at Ronnie Fieg's latest collaboration. 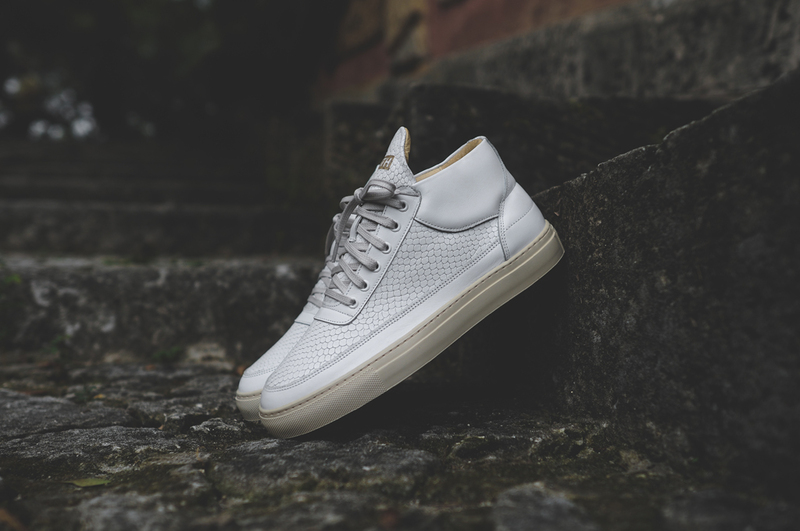 This time around, Fieg has teamed back up with Filling Pieces. A follow-up to their first collabo, released earlier this year. 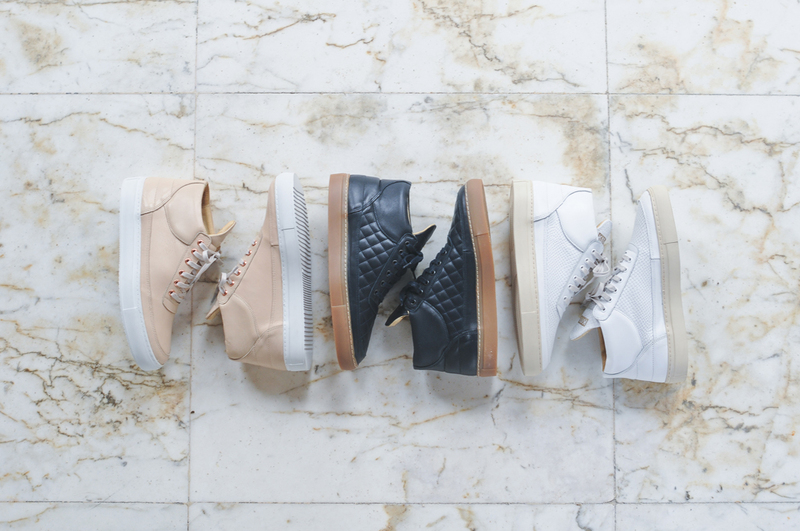 Known as the 'Part II' Collection, this pack features three colorways of the RF-Mid. 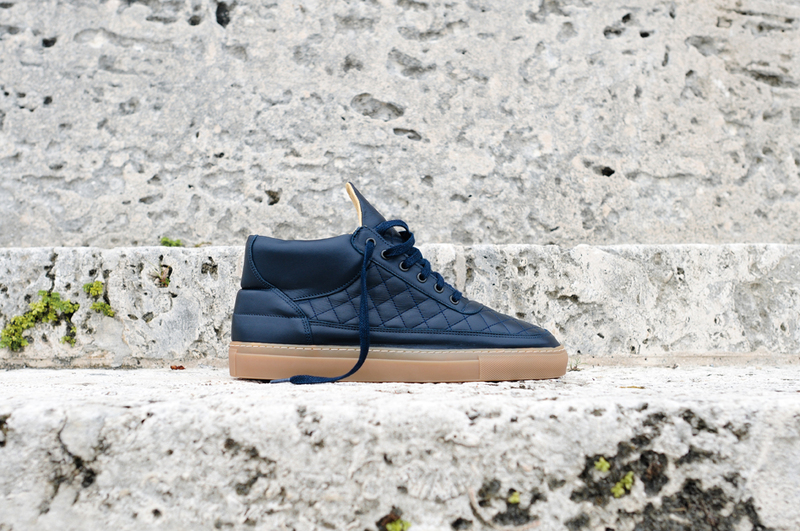 The first pair comes in navy and gum. 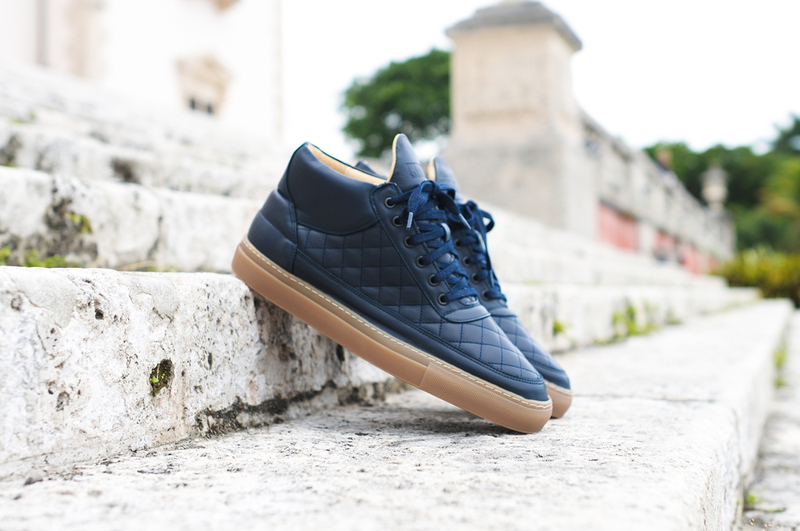 Featuring a navy blue-based handcrafted all-leather upper sitting atop a gum rubber sole. This pair was completely hand made in Portugal. Second is a light tan and white colorway. 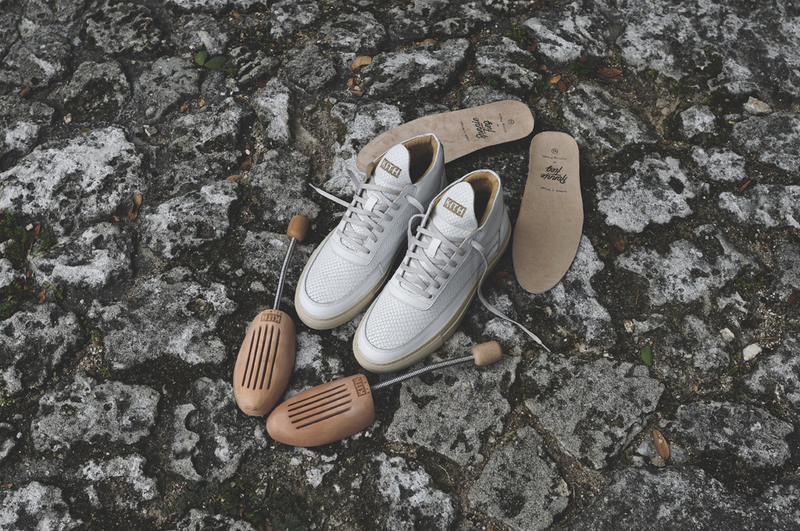 This pair features a light tan-based smooth thick leather upper, finished off by a white sole. 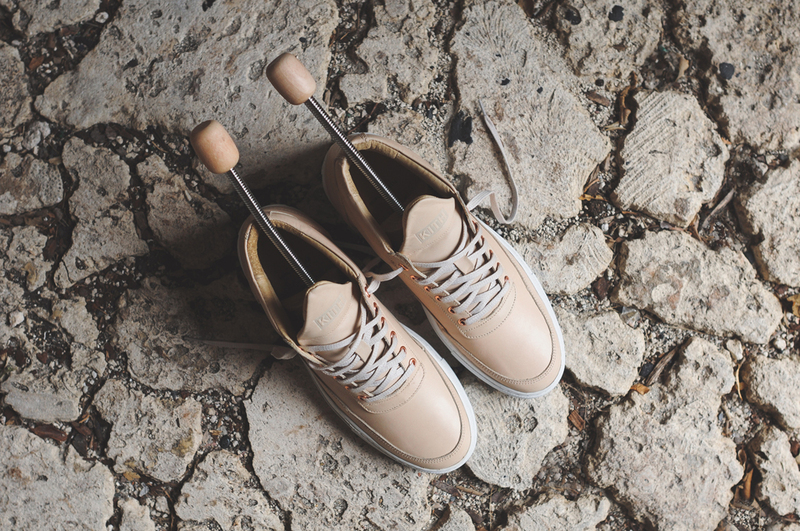 The final pair in this collection comes in a white and light tan colorway. 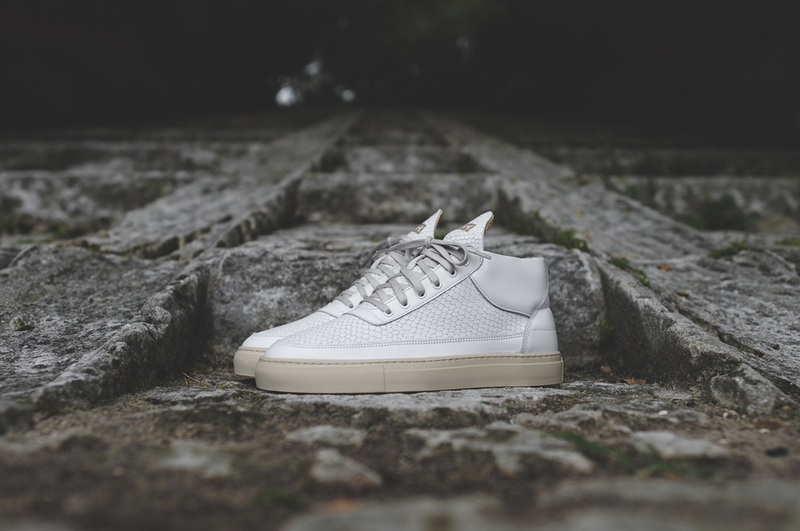 Featuring a white-based Dragon-debossed upper, sitting atop a white sole. 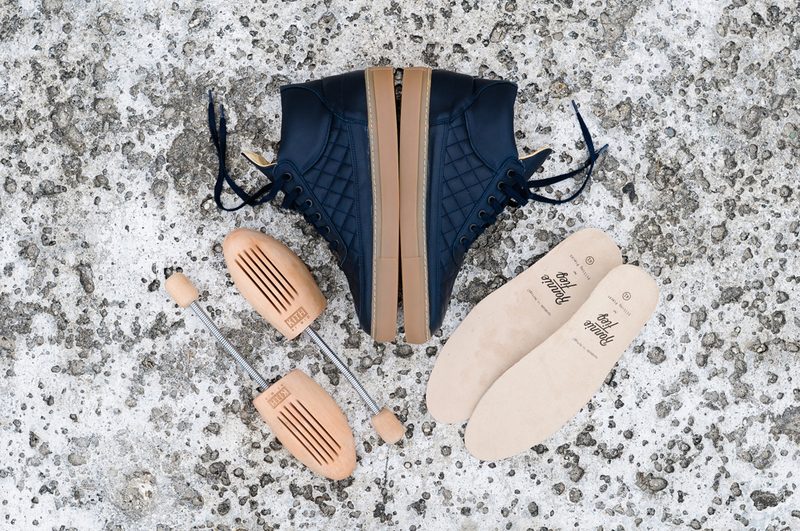 Each pair has a premium supple cow leather liner with KITH branding on the tongue and custom insoles. 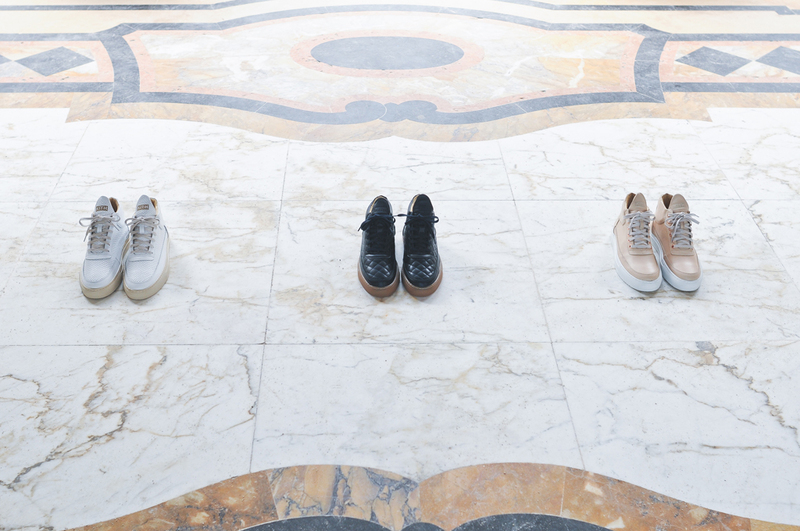 They come total custom packaging, including the box, paper, wooden shoe trees and extra sets of laces and insoles. 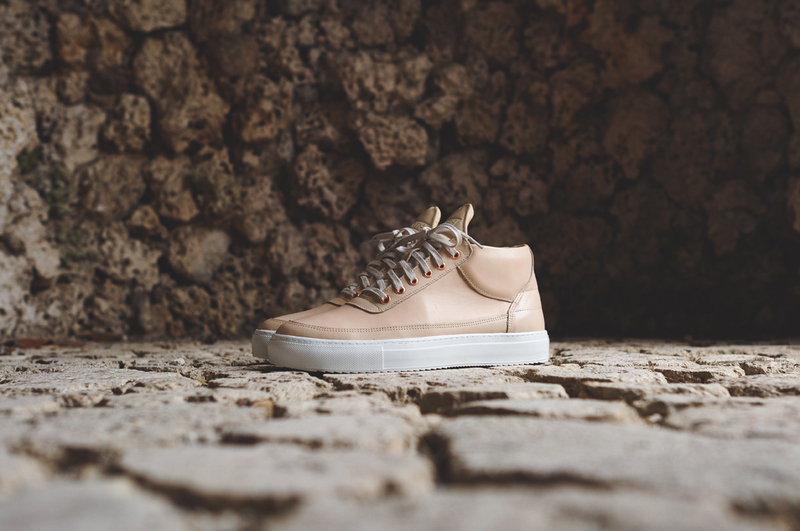 The Ronnie Fieg x Filling Pieces RF-Mid 'Part II' Collection will be available exclusively in-store at KITH's Manhattan and Brooklyn locations as well as online at kithNYC.com on Saturday, September 20 in limited quantities.